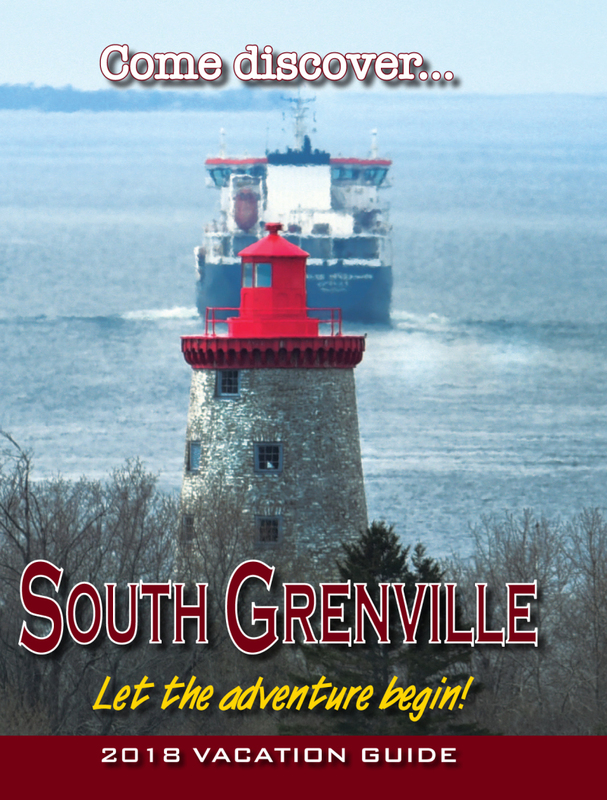 SOUTH GRENVILLE - Marketing and promotion are among the chief priorities of any small business, but they're also among the toughest tasks for a business owner. The Leeds Grenville Small Business and Trade Show aims to make that job a lot easier. "We are marketing this show from Gananoque to Morrisburg to Kemptville," says coordinator David Annable, who is also an architect and founder of Leeds and Grenville Approved Professionals. "That is a huge market for potential customers." The show takes place on March 8-9 at the Leo Boivin Community Center in Prescott, and organizers are inviting any small business owner, tradesperson or artisan who thinks he or she could benefit from the promotion and exposure to waste no time in reserving a booth. There are nearly 100 spots available, though some have already been snapped up, and the event will cater to those with small businesses, those in the trades and anyone operating an artisanal or market-type enterprise. However, in order to ensure that a diverse selection of vendors is represented in the show, organizers have capped the number of booths allotted to each type of business, such that there will be a maximum of six booths representing any one particular trade, profession or enterprise. "The purpose of the event is to show the public the diversity of the local small businesses and trades that are here to serve them," says Annable. "As organizers, we hope to provide an affordable and reputable platform for local businesses to showcase all they have to offer." The trade show in March will replace the annual business showcase that took place every June, and it is hoped that the earlier date will enable participants to generate more business through the springtime. Annable has been running the Brockville Home Show for the past six years, but recently stepped away from that event in order to develop a new event that focused more on small business and trades. The opportunity arose to take over the June showcase, which eventually turned into the new show in March. The inaugural Leeds Grenville Small Business and Trade Show enjoys the support of all three area municipalities - Prescott, Edwardsburgh-Cardinal and Augusta - and it's an ideal opportunity for area residents to not only come out to see what goods and services are available in the neighborhood but also to support local businesses and entrepreneurs. "They are the backbone of our community," says Annable. "They employ our families, support our children and schools and provide valuable assets to make our community grow." The event's host is Leeds and Grenville Approved Professionals, an organization founded by Annable and several colleagues who wanted to create an association of contractors and service providers upon which customers could safely rely. The organization comprises a network of professionals in various trades and different lines of work who are thoroughly vetted before they are permitted to join. Leeds and Grenville Approved Professionals confirms its members have valid professional credentials and does reference checks to make sure members have a track record of satisfied customers before they are invited to join the organization. Participants in the trade show do not, however, need to be a member of Leeds and Grenville Approved Professionals; they just have to make sure they don't wait too long to register for a booth lest the allotted spots for their particular field fill up quickly. "We want everyone we can get so that we can showcase all the amazing businesses in our region," says Annable. Booths will be located throughout the community center, and separated into zones according to business type, and spaces will be allotted on a first-come and first-paid basis. There are four different kinds of booths and various locations available. A standard booth will cost $300. A booth with an additional 10 feet of space, up to a maximum of 10' x 30', will run an additional $150. Booths in the artisan and market zone will cost $150. Corner booths will be $500 each, as there are only two of them, at the east end of the rink. Vendors are asked to indicate on the registration forms a first and second choice for booth type and location, and every effort will be made to accommodate the requests. The general public is eagerly invited to come out and see what the region's business and artistic community has to offer and to support the town while doing so. The entrance fee for visitors will be $2, and every dollar will be going to support the town's efforts to build a new arena to replace the Leo Boivin Community Center. "Not only are you supporting local businesses, but you will also be supporting the community," says Annable. The Leeds Grenville Small Business and Trade Show will run from 3:00 p.m. - 8:00 p.m. on Friday, March 8, and from 9:00 a.m. to 3:00 p.m. on Saturday, March 9. Anybody interested in reserving a booth and taking part in the trade show is invited to contact the coordinator at events@annabledesigns.ca or by phone at 613-865-8999 or visit lgtradeshow.ca, where the registration forms, as well as additional information, including a map of the exhibition area layout, can be found.